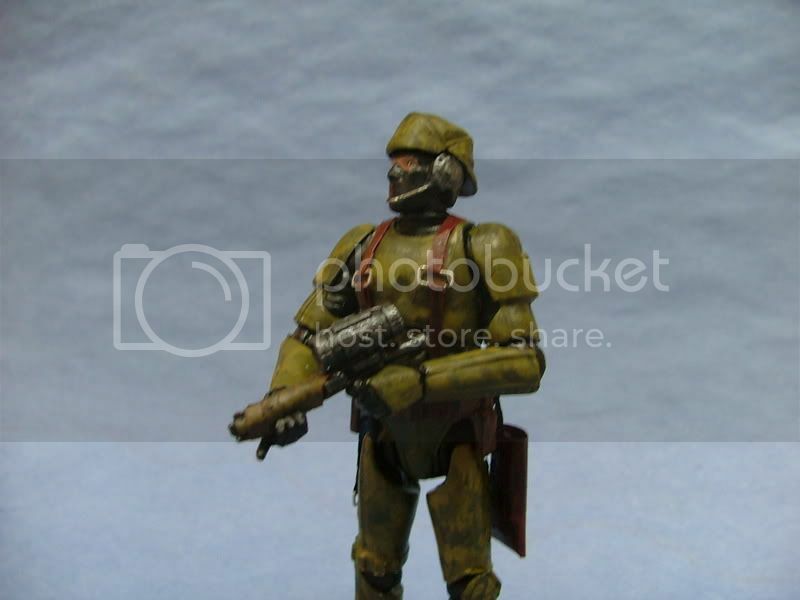 Here's my attempt at an Imperial sniper in the early days of the newly formed Empire. I LOVED making this figure. I'm pleased with the removable heads and the camo job is more earth based than my usual camo jobs. My belief is that the empire would use a basic imperial blaster with an augmented sighting system for sniper duties. I also included another helmetless sniper head because I believe that any sniper would prefer not to wear a bulky helmet when sighting in on their prey. 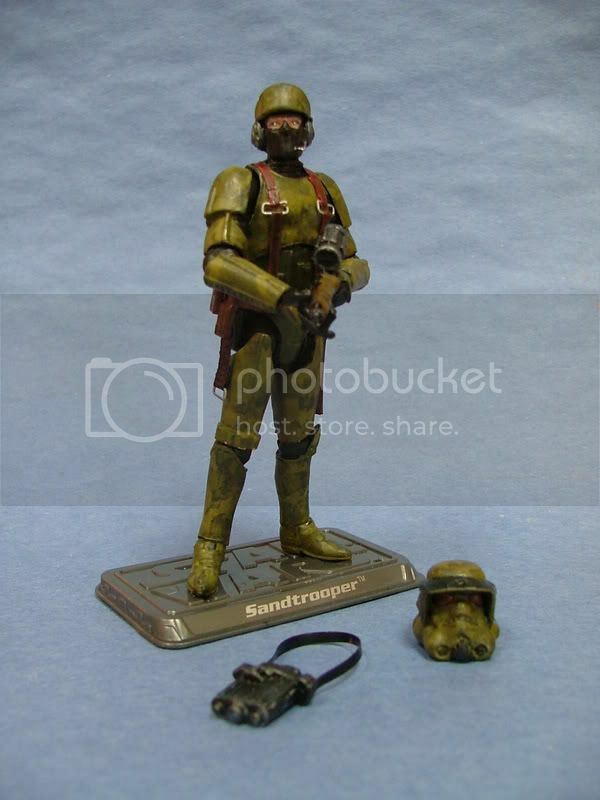 By the way this trooper is stationed on the planet Endor on a scouting mission 23 years before the events of ROTJ. Re: Rise of the Empire carries on! 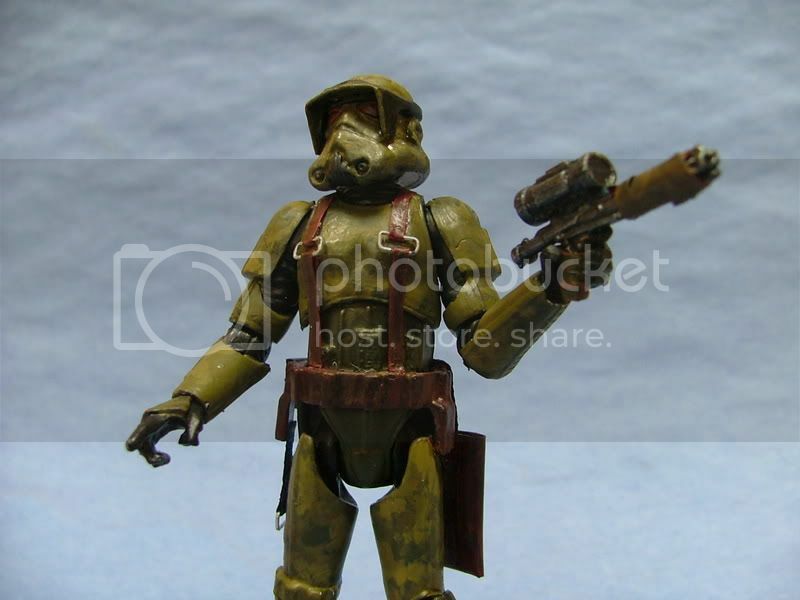 Already commented at GalacticArchives: outstanding figure and an original take on the sniper gun. Welcome back in the game! :'(Sorry for the Late reply :PThe Figures Look AWESOME!! I love'em paint,costime are cool great job! That sniper is amazing! Swappable helmet and awesome paint scheme, nice job! Awesome work on this custom. Love the paint scheme. It would definitely blend with the Endor environment. My only critique is that the standard blaster doesn't look appropriate with this figure. Traditionally snipers use long rifles. The sight tube looks a bit bulky for this weapon too. Maybe use a longer rifle and trim down the sight? Just a suggestion. I really like the straps on the chest and the holster.